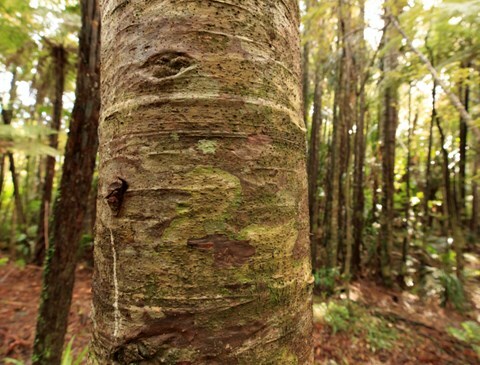 Auckland Council’s Finance and Performance committee today approved up to $740,000 to manage kauri dieback disease in the 2017/2018 financial year. It follows last week’s environment and community committee decision to close forested areas of the Waitakere Ranges Regional Park, and several higher risk tracks in the Hunua Ranges Regional Park from 1 May. Committee chair, councillor Ross Clow, says the decision is a vital step that the council had to take. “We as a council have a responsibility to do all we can to protect kauri across the Auckland region,” he said. The $740,000 covers a compliance and enforcement programme, communications and engagement, two full-time equivalent staff for the rest of the financial year, track improvements, hygiene station upgrades, car park and track entrance barriers, and signage costs. The committee approved the disposal of a number of properties as part of the unlock Panmure project and six council-owned properties as part of the Panuku-led council property portfolio disposal. The committee approved the proposed shareholder comments on the draft statements of intent 2018-2021 for the following CCOs. It also delegated finalising of the statements to the Mayor, Deputy Mayor and chairs of the committees of the whole. Whau Local Board chair Tracy Mulholland and member Derek Battersby addressed the committee on Avondale’s redevelopment and land sales. The committee also received public input from Janet Charman, Sylvia Spieksma from the Avondale Action Group and Sandra Murray all relating to council-owned land in Avondale. The Waitakere Ranges will close May 1, 2018 to help fight Kauri Dieback disease. It is to note this article from Radio NZ as well: Councillors slow down proposal to sell surplus offices. It seems we are about to have a reverse of the 2015 former mayor Len Brown Policy of selling assets inside a Centre especially Metropolitan Centres. I have been long against land being sold inside a Centre and luckily no land has been sold inside the Manukau Metropolitan Centre area. But it seems the sales policy for assets and land might be soon dead if Councillors start reacting (finally) to the dud policy. Council should at the minimum hold the land inside a Centre and have it development in return for ground rents. As for buildings? Will have a look and see but I can understand the former Waitakere City Council building being held onto while Kotuku House would make a good hotel or wider office space.